Art-N-Around operates www.art-n-around.com (the “Site”). This page informs you of our policies regarding the collection, use and disclosure of Personal Information we receive from users of the Site. You may notice on some pages of our websites that cookies have been set that are not related to Art-N-Around. When you visit a page with content embedded from, for example, YouTube or Facebook, these third party service providers may set their own cookies on your device. Art-N-Around does not control the use of these third party cookies and cannot access them due to the way that cookies work, as cookies can only be accessed by the party who originally set them. Please check the third party websites for more information about these cookies. 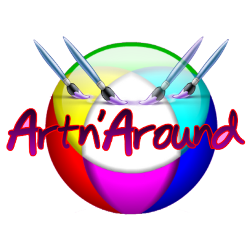 Art-N-Around is committed to ensuring the accessibility of its web content to people with disabilities. All of the content on our website will meet W3C WAI’s Web Content Accessibility Guidelines 2.1, Level AA conformance. Report any issues through our contact form.